As we begin a new year, we reflect back on the blessings of the last 5 years. 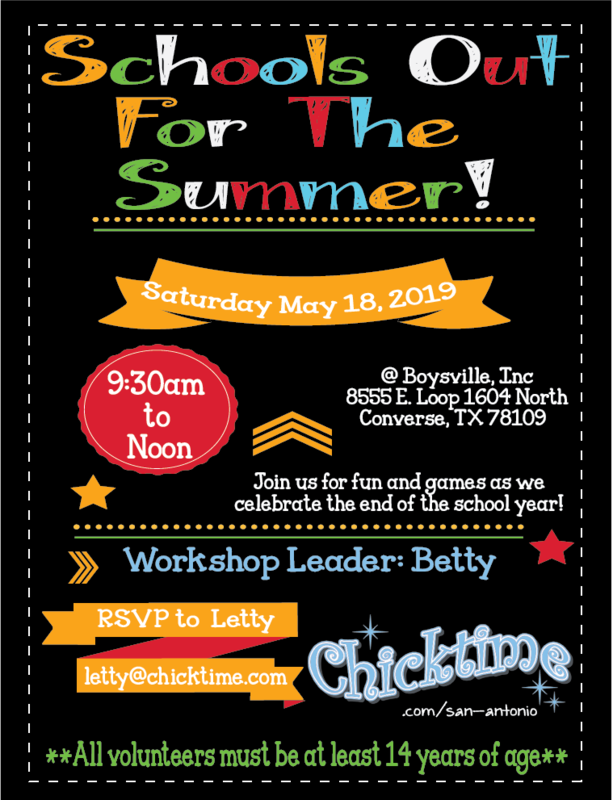 Yes, it’s almost been 5 years since Chicktime San Antonio first got started! We want to express our gratitude to all of you that have led one of the monthly activities (some multiple times), to our faithful volunteers that come on a regular basis, and to all of you that just come when you can. What a blessing it is to have every one of you help us to carry out our mission to “make the world a better place for the next generation”. We would like to give special “thanks” to Diane Godwin, one of the founding co-leaders, who has given her time, talent, and treasure generously over the years and has been such an integral part of making Chicktime San Antonio what it is today. Due to numerous other commitments, Diane has decided to relinquish her leadership role in Chicktime. Diane, we are eternally grateful for all you have done to help build this organization. We wish you well and hope you will come and volunteer at some of our activities as time permits! Our next event will be held on Saturday, January 17th, at Casa de Milagros at Seton Home. This event will be hosted by ladies from Shrine of St. Padre Pio and we will be making fleece blankets with the girls. Come and help with the activity or help with babysitting. Setup will be at 10:00 AM and the event starts at 10:30. We will be meeting in the Family Life Center at Seton Home, 1115 Mission Road, San Antonio, TX. If you happen to have any fleece on hand that you would like to donate, we will gladly take it. We are in need of 2-yard pieces for the blankets. But, smaller pieces can be used to make winter scarves. 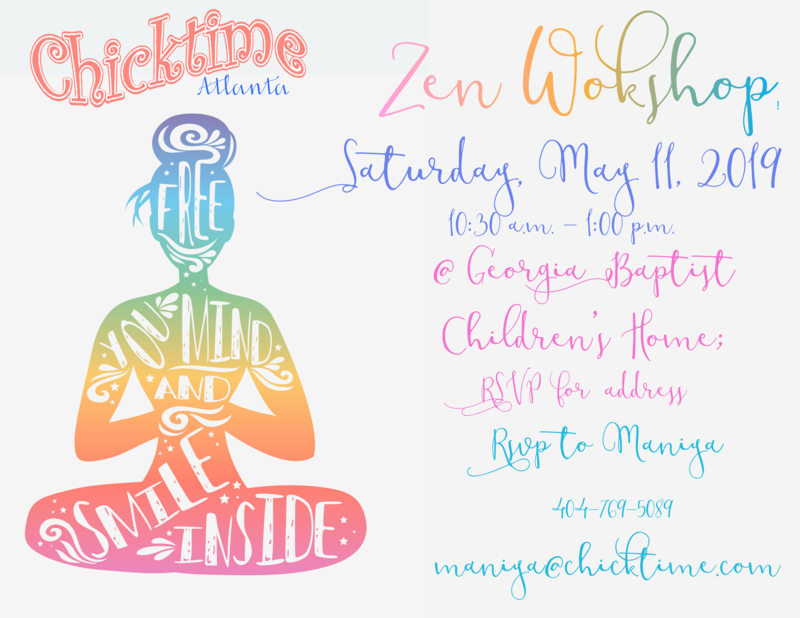 RSVP to Annette Goodson at annettegoodson@sbcglobal.net. Want to make a difference in a young girl’s life? We are in need of volunteers to lead activities in 2015! Do you know how to knit or crochet? Are you a cake-decorating expert? How about kick up your heels and line dance? Need to satisfy your Pinterest addiction? Do you have a green thumb? Gather your friends, family, co-workers or church organization and volunteer together to lead one of our monthly activities at Casa de Milagros. It doesn’t have to be anything complicated or expensive. The important thing is to spend a couple of hours one Saturday morning showing teen girls that they are loved and cared for. We promise you will gain more from the experience than you give. Please contact our volunteer coordinator, Donnette Tyler, at donnette.tyler@gmail.com if you are interested in leading or if you have questions about the requirements. 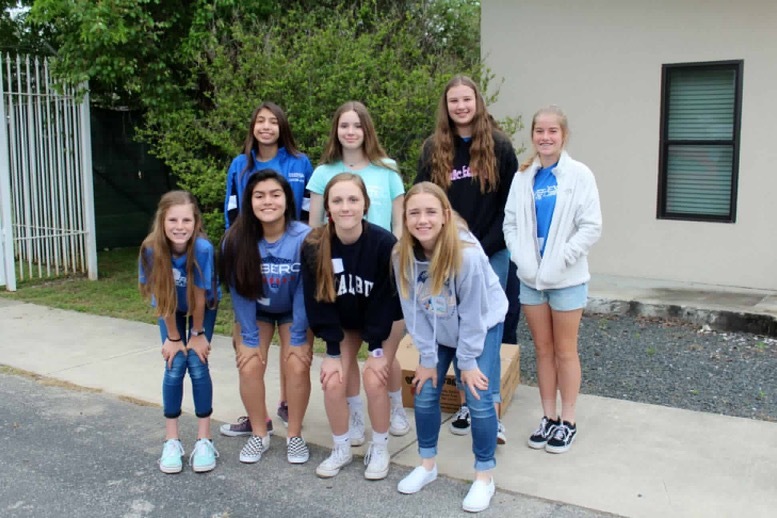 The girls at Casa Del Milagros got to do what all teen girls like to do…shop till they dropped and Chicktime San Antonio got to help them in the process. Donated NEW items were displayed in the conference room like a department store. From clothing to makeup and all the things in between, the girls were allowed to shop for a few personal things for themselves, but of course with a Christmas twist! The girls drew names as a Secret Santa and shopped for 5 items for their new shelter friend. They also selected toys and clothing for their babies. 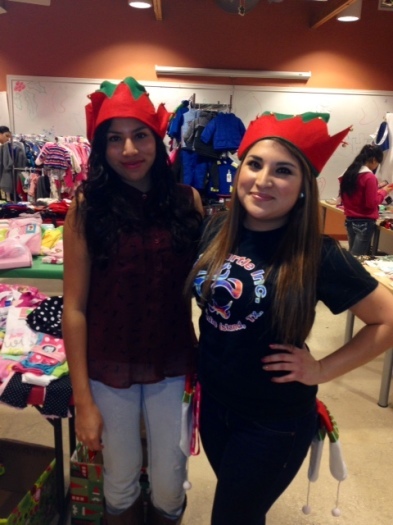 Chicktime San Antonio volunteers served as elves in the “department store”, assisted with gift wrapping and babysat! We served lite refreshments of hot chocolate, cookies and pan dulce. But, most importantly we were able to really share Christ(mas). 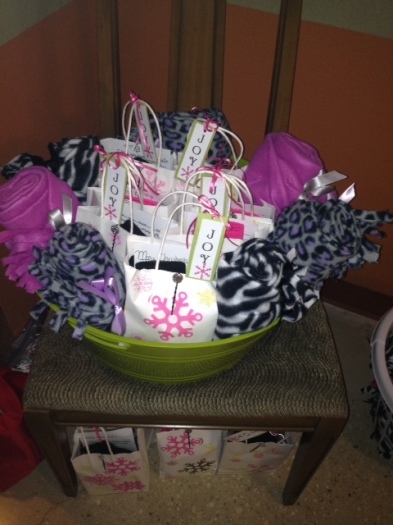 Concordia Lutheran Middle School Cheerleaders donated beautifully decorated gift bags filled to the top with girlie things as a special Christmas gift for each of the teens. Favorites were the hot pink socks and the homemade scarfs! Watching the girls experience Christmas was a blessing and we are so thankful for loving hearts like these cheerleaders. Their Christmas party was spent putting the gift bags together and making Christmas ornaments that said JOY on them for each of the girls. Simply beautiful. Thanks to faithful volunteers and their donations over the year, the girls were also given a new diaper bag from Chicktime San Antonio. As always, the gathering ended with a closing prayer. We can tell you that there isn’t anything more humbling than being hand in hand with a teenage girl living in a shelter because her own home is too dangerous or poverty stricken to live in and offer hope from just being with them for two hours once a month. Thank you God for this opportunity.